I have a friend who doesn’t like to travel because she is afraid of her son having a meltdown during the trip. This makes me sad because they are missing out on so many family memories! Traveling can be stressful and exhausting, which can cause your kids to have meltdowns, but you don’t have to sit back and just accept it. There’s no way to completely eliminate crankiness, but you can minimize it by planning ahead. Here’s how to avoid child meltdowns while traveling. 1. Go with the grain, not against it. Just like when sanding a piece of wood, you will get much smoother results by going with the grain. Know the personalities of your kids. Work with their tendencies, not against them. If you have a child that gets super cranky if they don’t have a nap by 2:00 pm, then plan your travel in such a way that you can make sure that child gets a nap on time. If you have 2 kids that constantly pick on each other while at home, make sure you separate them while in the car or on an airplane. When you anticipate your battles, you will be in a much better position to win them. Don’t fight with your kids, outsmart them! You can’t win the battle if you don’t have the necessary tools. Pack snacks, toys, books, that favorite stuffed animal your child sleeps with every night, and anything else that will help you to stop that meltdown in its tracks regardless of where you are at that moment. Bring a small flashlight or reading light for your child who is scared of the dark if you will be traveling at night. Pack ipods and headphones for everyone in the family so no one will argue over music. 3. Outsmart them by always staying one step ahead. Part of being prepared is having what you need when you need it. This means not just planning ahead when packing things at home, but anticipating them in real time so you are ready to quickly step in with the answer. For example, plan your meal stops so when you hear the “I’m hungry” whine from the backseat, you are pulling into a restaurant parking lot. Hand your son his lovey 5 minutes before his normal naptime. Have a “bag of tricks” at the ready to hand out toys or activities when your daughter becomes bored and restless while waiting at the airport. Be ready with whatever your kids need just when they need it. They will think you are super mom, but the truth is that you are saving your own sanity by avoiding the whining and fussing. 4. Fight crankiness with excitement. Tell your children something about the trip to get them excited. What exactly you tell them will vary depending on their ages. For younger kids, it may be flying on an airplane. For older kids, it may be the awesome pool at the resort. Whatever it is that you use to get them excited, keep reminding them of it when they start to get cranky. Use it as motivation to hang in there. 5. Always keep them engaged. These days, most kids would rather be looking at a screen than anything else. So, use this to your advantage. Pack your children’s electronic devices. Think about getting your kids a few devices that they only use when traveling. My son has a portable DVD player that he rarely uses outside of traveling. We always pack it and a case full of movies when we go on a trip. The DVD player keeps him entertained for hours. Just don’t forget to pack extra batteries and chargers! 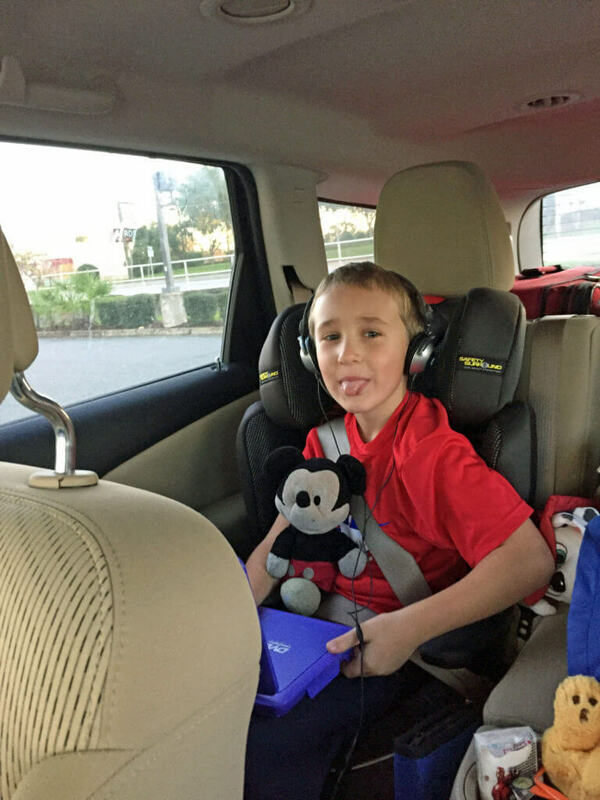 Even if you limit your child’s screen time while at home, consider making an exception while traveling. Electronics can help fight meltdowns. 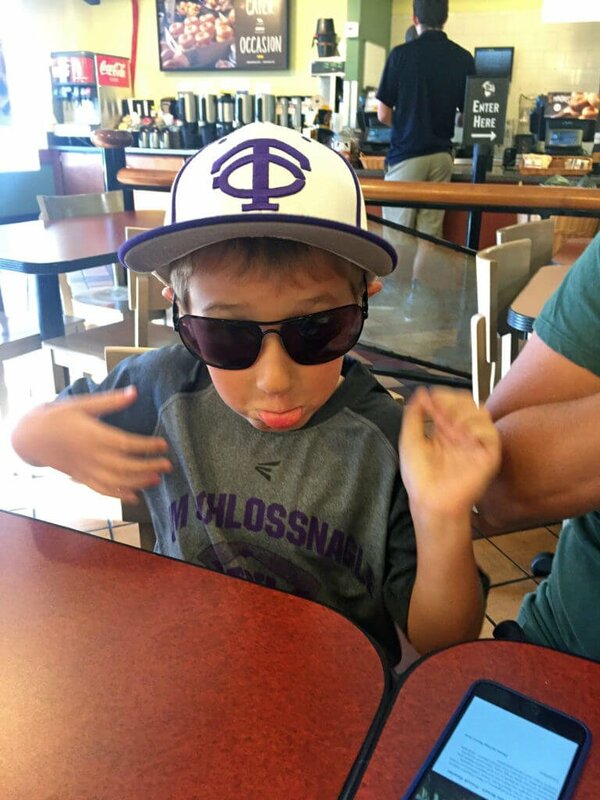 After a while, even the most tech-savvy kid will lose interests in electronics. When that happens, be prepared with some low-tech options. One of my favorite things to pack is trivia cards. Take the cards out of your favorite trivia game, wrap a rubber band around them, and throw them into your bag. Then, when you need a diversion, pull them out and take turns asking each other the questions. Another bonus to the trivia cards is that they take up very little space. Introduce your kids to some old school games. Remember the games we all played when we were kids: the License Plate Game, I Spy, 20 Questions? Another easy option for entertaining your kids is to introduce them to these old games. Chances are, your kids have never heard of these games. And you never know, they may love them! Plus, they require no packing! Make up your own games. If you start running out of things to entertain your children, make up a game of your own. I do this quite a lot with my son. Recently, while waiting for a table in a restaurant, he began to get restless. We were waiting near a window that looked out onto a busy street, so I made up a game where he got points for spotting specific colored cars. It kept him quiet and busy until our table was ready. I make games up like this all the time in order to prevent meltdowns. You can make them up on the fly or plan a list out in advance that you can refer to when needed. Kids love surprises. Before you leave for your trip, go to the local dollar store and stock up on small treats, gifts, and toys. Hide these from your kids and sneak them into the car or your carry-on luggage. Whenever you need a diversion, pull one out for each of your kids. And don’t forget to wrap them up or package them in a fun way. A good presentation will always add to the fun. Another option: tell your kids at the beginning of your trip that, if they are well behaved, they will get a surprise at pre-determined times, such as when you cross a state line or at specific times. This way, they have something to look forward to. 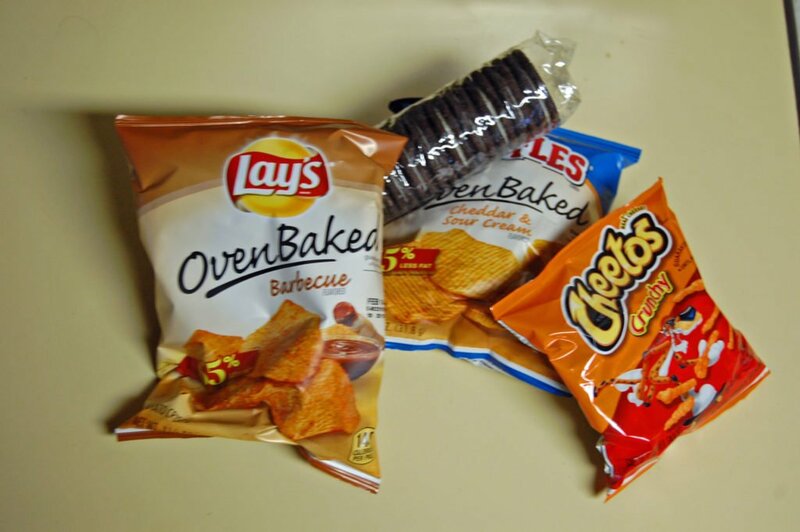 Snacks can help fend off meltdowns. 6. Never underestimate the power of snacks! Food works wonders to eliminate the crankiness that comes with traveling. Full bellies mean better moods and more cooperation from your kids. Snacks also fight boredom. Another advantage of packing food for the trip: they can be a lifesaver if you are unexpectedly delayed for some reason. Traveling with your kids is a great way to create wonderful family memories. But, it’s only fun if you don’t spend the whole trip reacting to meltdowns. 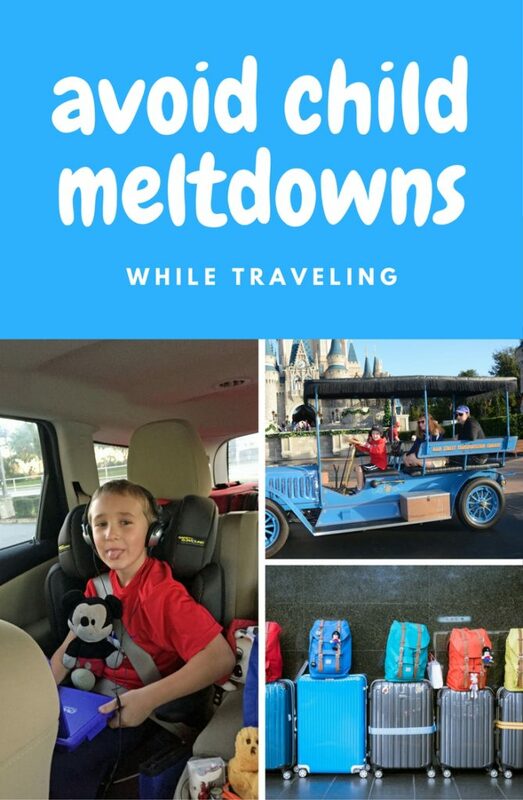 You can easily avoid child meltdowns while traveling. The above tips and tricks will help you do that so your entire family will have more fun on your next trip. Happy travels!